Do あなた wish for chihiro and haku to be together? What is your お気に入り character from Spirited Away? Do あなた like Haku as a human または a dragon?? If Haku was real.. if was at your school または somewhere. what would your recation? That is one of the best 映画 I've ever seen! I watched it many years 前 as a child. And to this 日 i 愛 this Movie. Okay so actually I heard a song named 'Right where I Belong' によって Wendy Wagner. 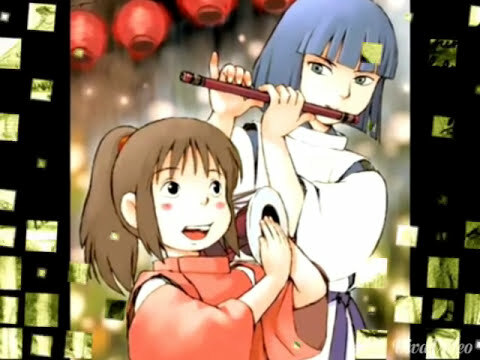 & I was wondering that it's perfect for chihiro to sing after leaving the Spirit world! Imagine her 歌う this..
Ten-year-old Chihiro Ogino and her parents are traveling to their new ホーム when her father takes a wrong turn. They unknowingly enter a magical world that Chihiro's father insists on exploring. While Chihiro's parents eat like pigs at an empty restaurant stall, Chihiro finds an exquisite bathhouse. She meets a young boy, Haku, who warns her to return across the river before sunset. However, Chihiro discovers too late that her parents have turned into actual pigs and she is unable to クロス the flooded river, becoming trapped in the spirit world. I laughed as Haku flew higher and higher into the clouds. “Haku, how far up do あなた plan to fly? !” I said. Disclaimer: I do not own Spirited Away または the characters except Mimi she is mine. 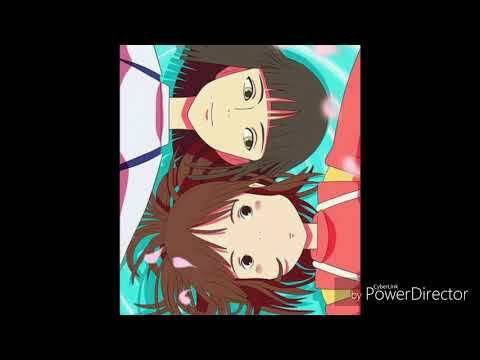 What did haku gave to chihiro when she's about to disappear?